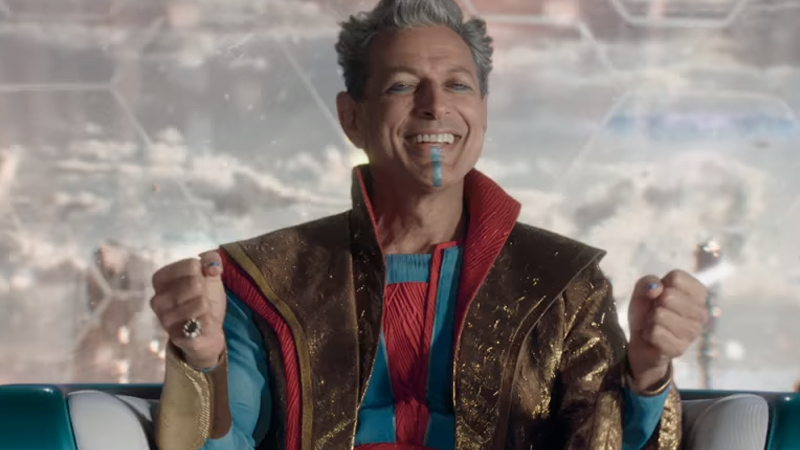 Jeff Goldblum’s turn as the Grandmaster is one of the most exciting things about Thor: Ragnarok. Who needs superhero action when you could have Jeff Goldblum at his, well, Goldblummiest? 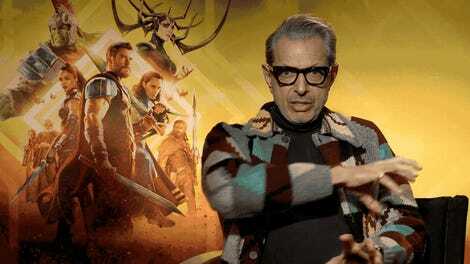 There’s some good news if you want even more of him though: Goldblum has already hinted, in the best way, that there’s more in store for the Grandmaster. So what happens? Well, I could go anywhere—I might knock on your door, and say hello. Guess who’s here? Which, yes, makes it sound an awful lot like Goldblum has shot an appearance for the next chapter in what’s probably become Marvel’s most delightful DVD special feature: Thor’s goofy mid-Civil War adventures with his hapless roommate Darryl. Hell yeah. Those shorts already laid the groundwork for the charmingly goofy Thor we’re seeing fully on display in Ragnarok and were an absolute blast. Now they’re going to be enhanced with awesome might of Jeff Goldblum himself? That’s something we can’t wait to see.